The unrepentant voices of complaining Australian consumers are ringing loud and clear. The latest instances have impacted on two of the country’s best-known brands, Glad Wrap and Nestle’s Allen’s Lollies. Glad Wrap has responded to a barrage of Australian customer complaints by deciding to reverse a decision which saw the brand change the position of the cutter on its packaging of Glad Wrap. In late 2014 Glad Wrap, which is owned by Clorox Australia, introduced a series of alterations to its cling wrap including making a tighter seal, stronger packaging and adding in a easy start roll feature. The change which got the most attention however was the decision to move the cutter from the bottom of the packaging to inside the lid. Customers were not happy complaining it was now significantly harder to tear off a piece of the cling wrap. Glad Wrap claimed the cutter position had to be changed after consumer research revealed safety concerns. However the brand received so many complaints once the new Glad Wrap pack started hitting shelves, Clorox Australia said it had no choice but to listen. After several months of work, Clorox says that a better cutter is now available for purchase. The reversal cost is believed to have run into many hundreds of thousands of dollars in manufacturing machinery alteration cost and new materials. The industry standard in Canada and America for many years had already been that cutters be placed on the inside of the lip. Nestle’s Allen’s Lollies had not being making green frogs or spearmint lollies since late 2014 but loyal customers looking for the green frogs noticed they were missing from the shelves and were querying their disappearance. The lolly manufacturer said the brand’s products were doing well but spearmint and green frogs were just not doing as well as other flavors. Nestle say that red frogs were outselling green ones ten to one. Many consumers however appeared to be unhappy about the disappearance. After it was confirmed by the company that production of green frogs had ceased, large numbers of consumers took to the Allen’s Lollies Facebook page with outrage. The product has not resumed its place on the shelves at the date of this article and no indication has been given of any change in company policy as yet. Rumours also started to circulate that other Allen’s products Sherbies and Oddfellow mints would also be next to go- forcing Nestle to issue a denial and stop potential brand damage. There were claims of size reduction in some other Allen’s products which Nestle addressed by saying Killer Pythons were made smaller but statements that “Red Skins had been reduced by a third” were incorrect. 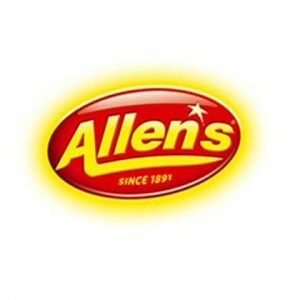 The discontinuation of Green Frogs is not the first Allen’s product range to disappear. Previously its Violet Crumble Bags, Butter Menthol Kids and Jelly Tots had also gone. Allen’s had it start in Melbourne in the 1890’s and its original factory and large iconic Allen’s signage used to sit prominently on the Yarra River on what is now the Southbank precinct of Melbourne on the opposite side of the Yarra facing Melbourne’s famous Flinders Street Station.